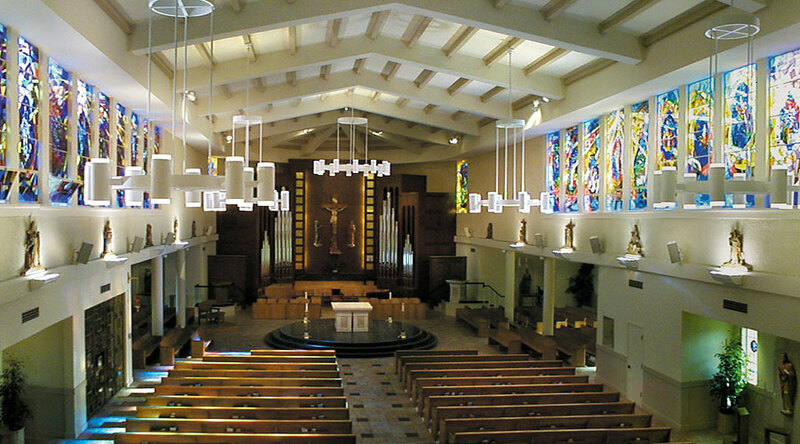 This custom church lighting project involved the restoration of the San Roque Catholic Church sanctuary lighting and stations of the cross lighting. 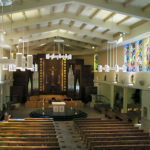 The chandeliers were designed in two sizes with the largest size located at the front of the church directly above the altar. 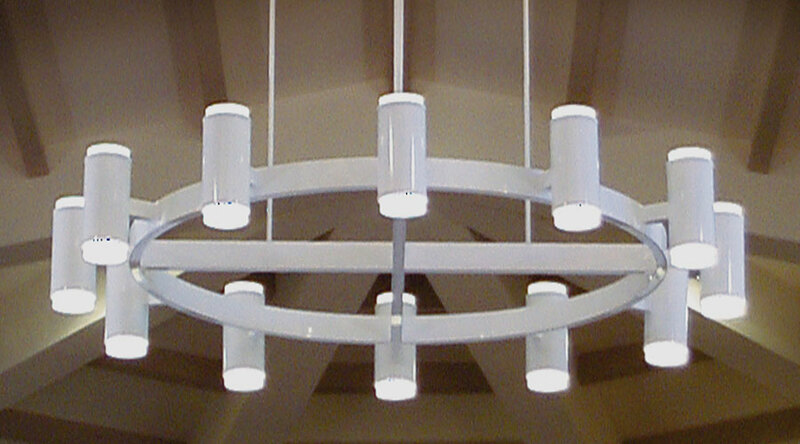 The contemporary ring design of the chandelier supports large cylinder fixtures with both up and down lighting. 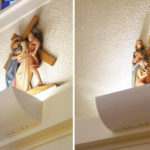 The cylinders were wired for two dimming circuits to allow for adjustable light levels during the church service. Frosted acrylic rings are mounted to the edge of each cylinder and give a gentle glow when illuminated. 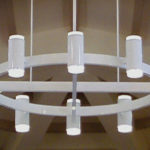 The custom church lighting chandeliers were constructed of aluminum to reduce the overall weight and have a custom white powder coat finish that matches the trim finish in the church. 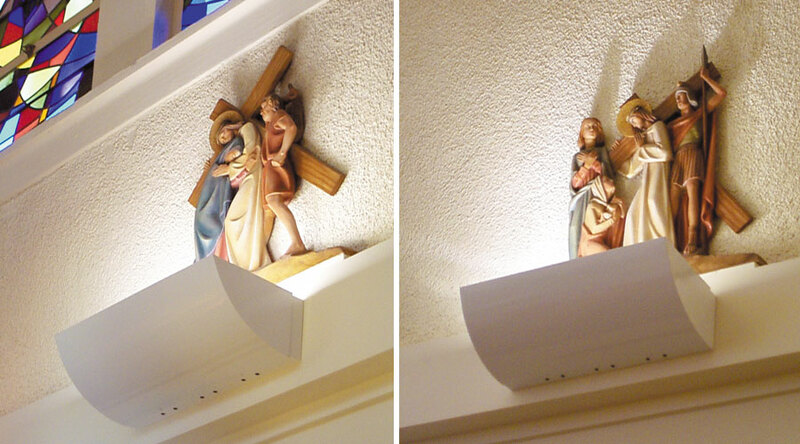 This project also included contemporary wall sconces mounted below each of the Stations of the Cross. Each fixture had a built in mirrored aluminum reflector and a 250 watt halogen lamp.